Today’s blog is the final post in a 3-part series on retail counter displays and how effective countertop merchandising can drive product sales. As we have pointed out, countertop space is hard to get but is one of the best places to drive impulse sales in any retail store. It is particularly important to keep the footprint of counter displays relatively small because countertop real estate is typically limited in most stores. Keeping your footprint small will help increase your chances of getting placement in a greater number of retailers. In Part I of this series we focused primarily on wood counter displays. In Part II, our emphasis was on metal counter displays. If you missed those blogs, you can read Part I here and Part II here. 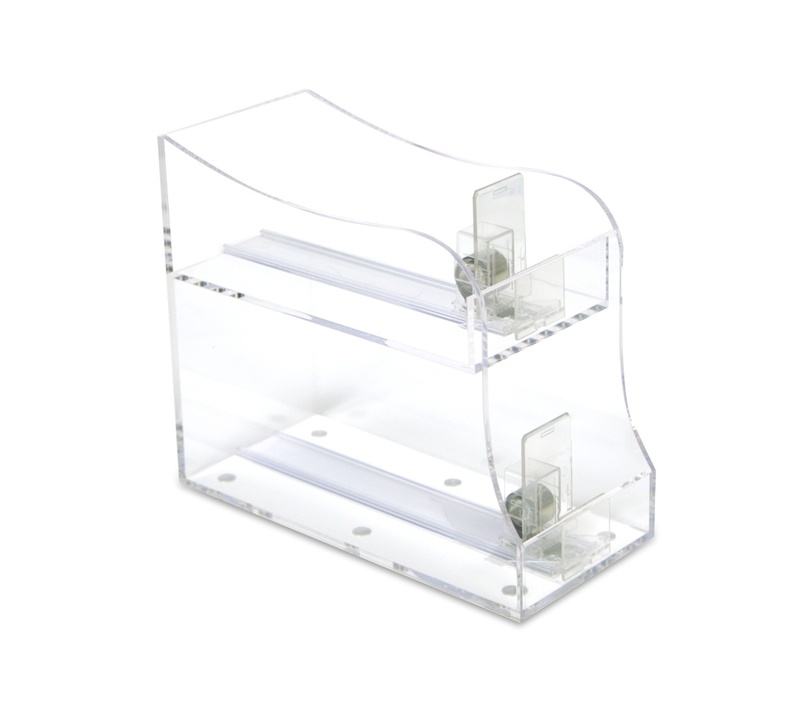 Today we’ll complete the series with a look at retail counter displays that are made of acrylic or plastic. 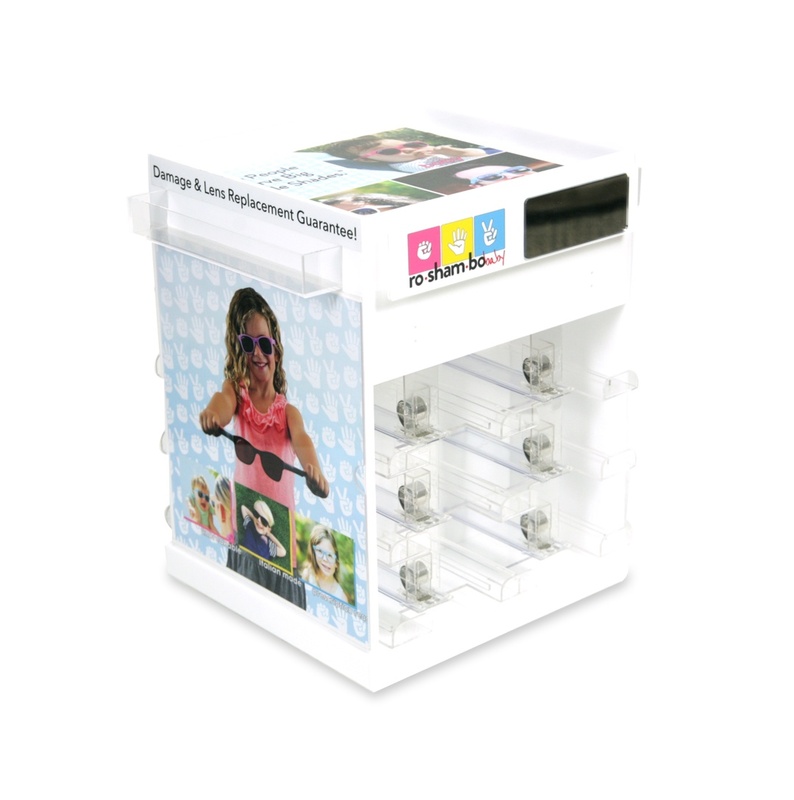 Our first example is a 4-sided, spinning acrylic counter merchandiser we made for Roshambo Baby’s line of Italian-made, chewable, polarized baby sunglasses, kids shades and adult sunnies. We incorporated a pusher system for lay-down boxes on the 2 primary sides of the display. On the 2 opposite sides, we created space for graphics, a clear acrylic accessories bin, and a place to mount a pair of flexible, twistable sunglasses. We added graphics and messaging to the top well of the display, which was also designed to accommodate additional boxed product. 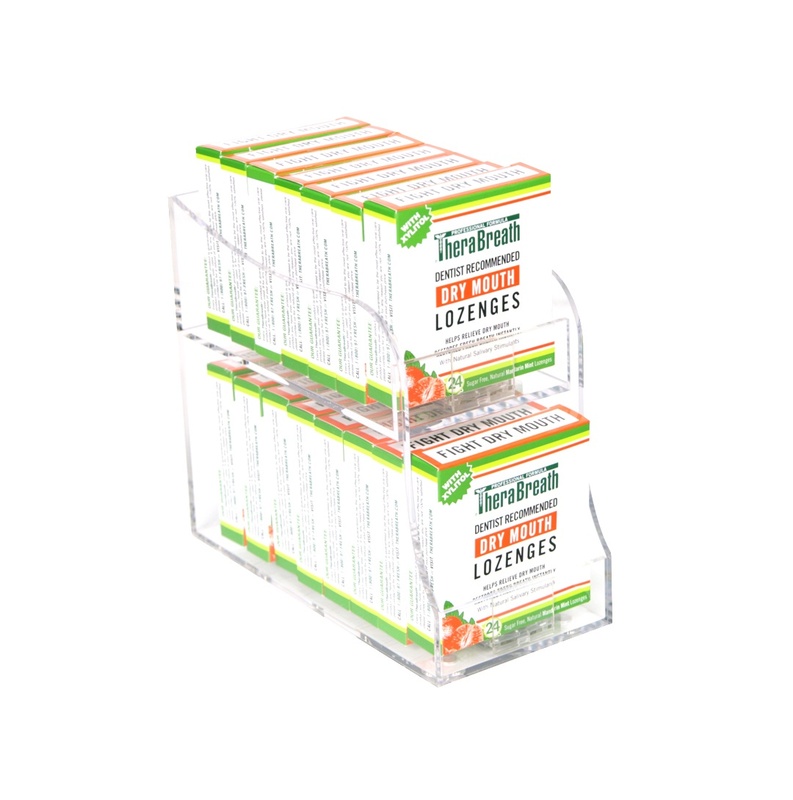 We utilized a similar pusher system on the 2-tiered acrylic display shown below which we made for Therabreath’s dry mouth product as a part of a national Walgreens rollout. This display was positioned inline in the oral care section, but it could easily work as a stand-alone countertop display. We built the display out of clear acrylic in order to make the display disappear and put the focus on the product. We also embedded rare earth magnets in the base to help anchor the display to a metal surface. Our third example comes from the consumer electronics space. 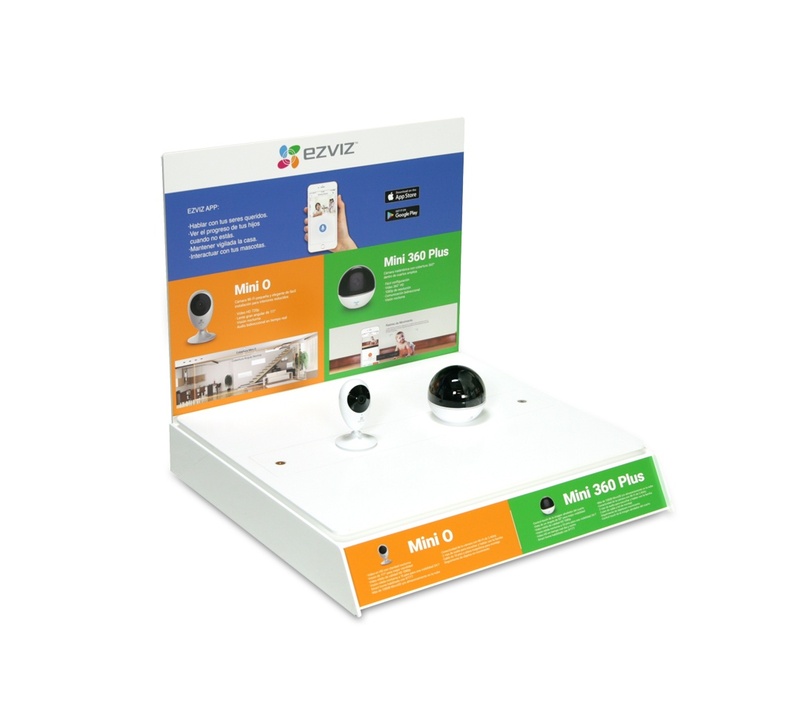 We made the acrylic countertop display shown below for EZVIZ to showcase its Mini O and Mini 360 Plus security cameras. The graphics were all designed to be interchangeable, and the panel that we used to mount the products was designed to be removable. These design elements helped to future-proof the display so that new products and new messaging could be easily introduced without having to replace the display. Our fourth example comes from the golf industry. It’s an example of a single product glorifier designed to meet a tight budget. 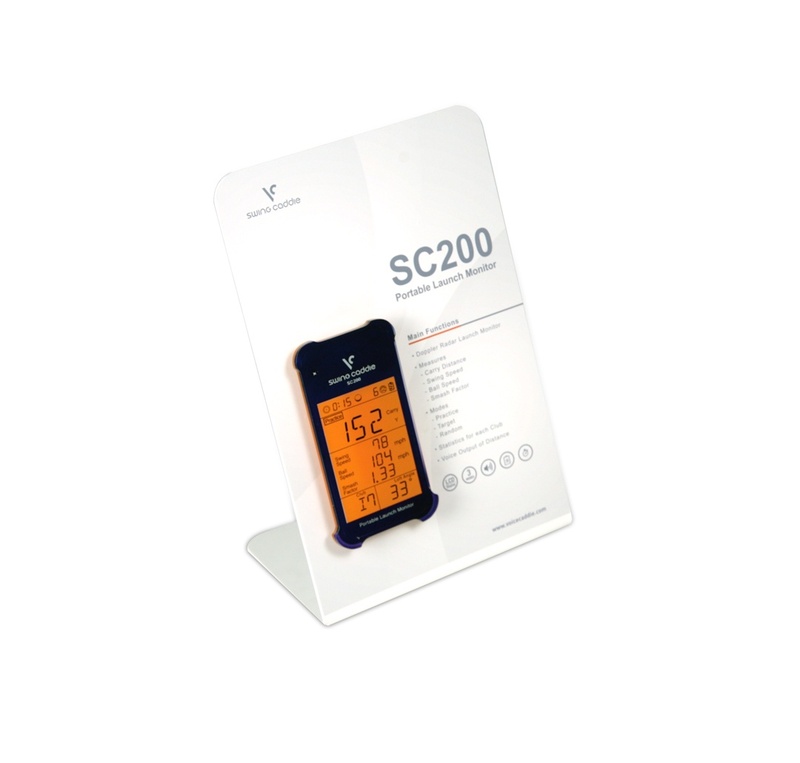 In conjunction with our customer’s launch of its SC200 Swing Caddie product, we designed this simple, cost-effective retail counter display out of bent white PVC. We cut and folded the PVC, added vinyl graphics and mounted the Swing Caddie product. There was nothing fancy here, but it got the job done on the cheap. 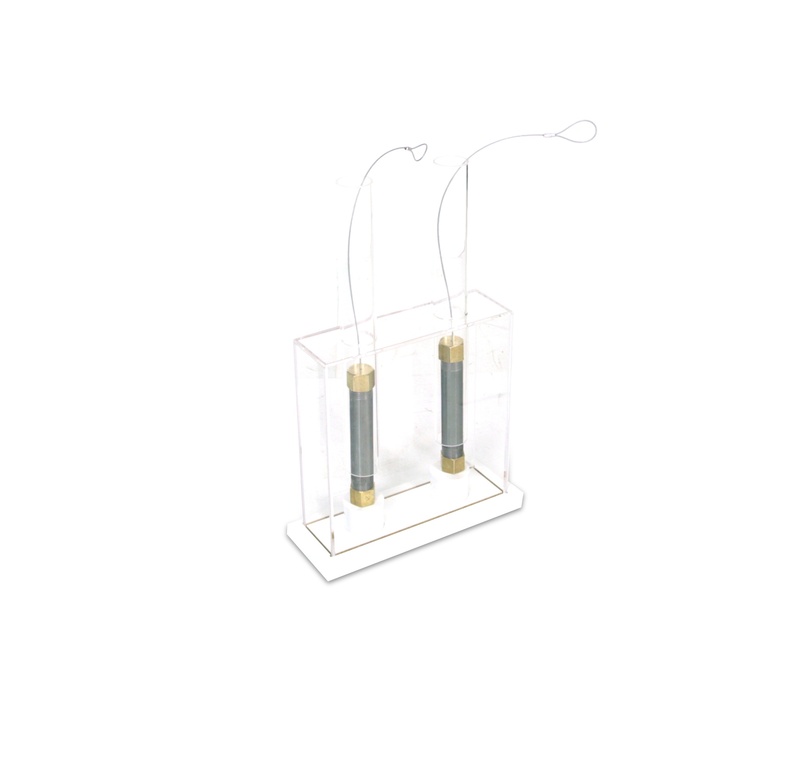 The tabletop acrylic display shown below is one we designed for one of WD-40’s lubricant products. The idea behind this display was to create a hands-on demonstration whereby WD-40’s product could be compared side-by-side with a competitor’s product. When the weighted tubes drop of a blob of lubricant, WD-40’s product generates significantly less splattering than the competitor’s product. Seeing is believing, and this display is an example of how a head-to-head comparison can be used to demonstrate product superiority. 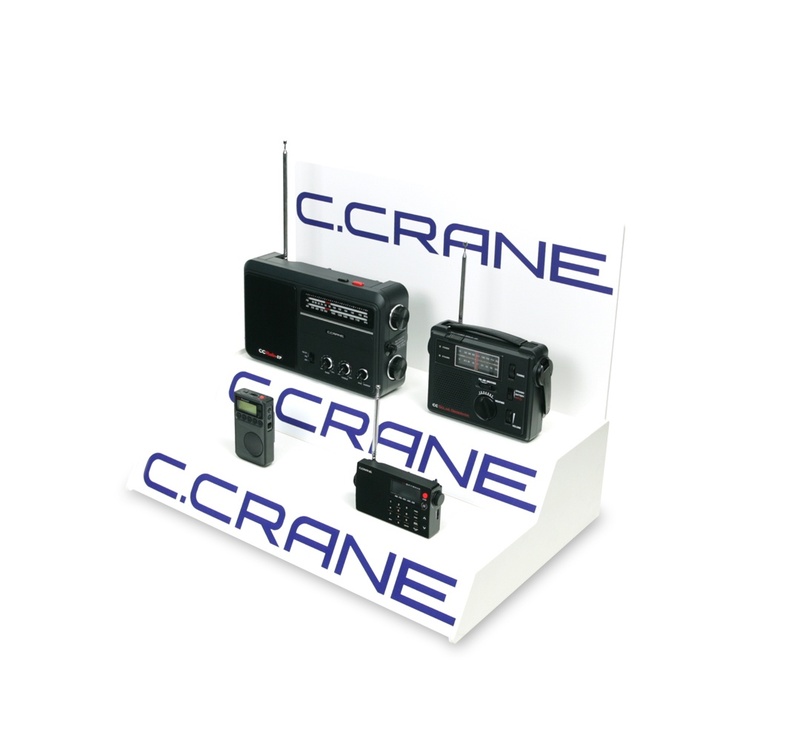 Our sixth example is a 2-tiered glorifier display we made to showcase C.Crane’s line of specialty radio products. Simple in its structure and even simpler in its messaging, this display was constructed of white PVC with applied vinyl graphics. It would be easy to imagine how this display might looks with different graphics, but our customer wanted to hammer home the C.Crane name, which is pretty hard to miss. The main challenge of this display was how best to enable shoppers to interact with the products while also ensuring they were secured in some way to the display. Using tethers or gluing the radios to the display both proved to be viable options. Next, we made the dimensional acrylic sign below for Simply Mac, an Apple Authorized Reseller and Service Provider. We used frosted acrylic and a screen-printed logo to create the basic sign. Our customer wanted to hang the sign on a metal bar that attached to an in-store crossbar. We created a small pocket on the rear of the sign to ensure that the metal bar and acrylic sign were independent parts that could be easily attached. 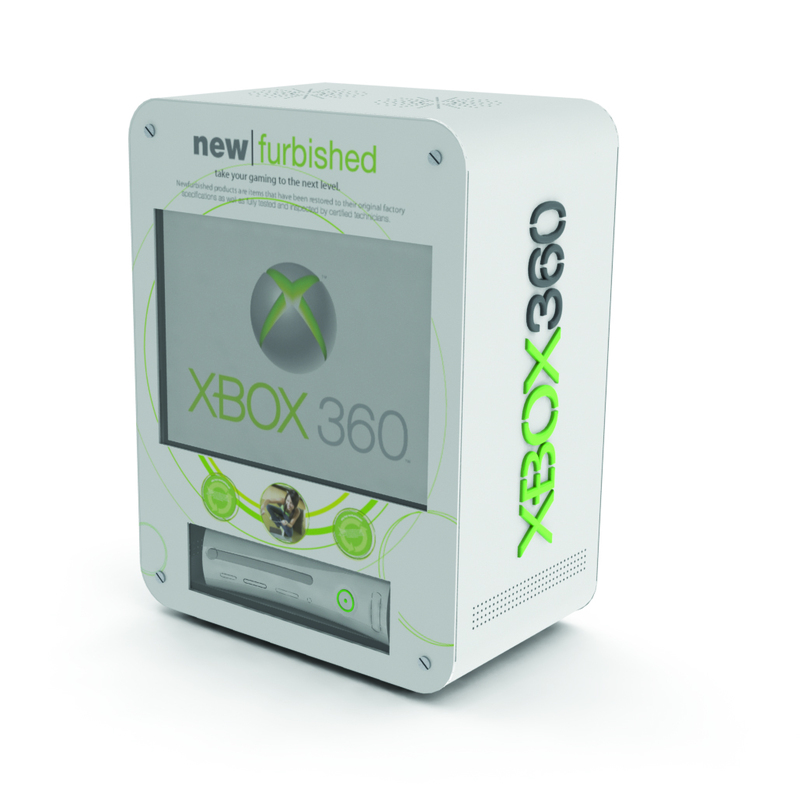 Acrylic proved to be a good choice for the XBOX 360 display that we made below. We used heat-bent white acrylic with cut-outs for the screen and control box. We screen-printed graphics on the front and then glued laser-cut 3D acrylic letters to the sides which helped to create a high-end look. If you are looking to create a retail counter display to show a few different models of a similar product, creating a design that has a tiered structure can work well. 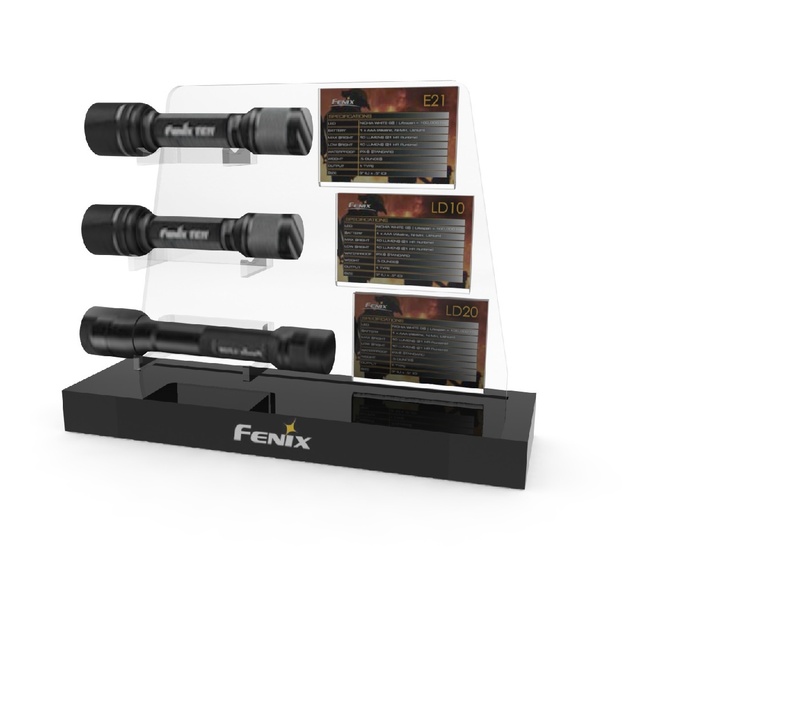 We built the 3-tiered acrylic display shown below for Fenix Flashlights. We used a black acrylic base with a screen-printed logo and a die-cut frosted acrylic back panel with mounted acrylic cradles to hold the flashlights. We added vinyl graphics to the right of each product to explain the features and benefits of the products. Our final example is out of the cosmetics industry, which is a market category that uses acrylic frequently for retail counter displays. 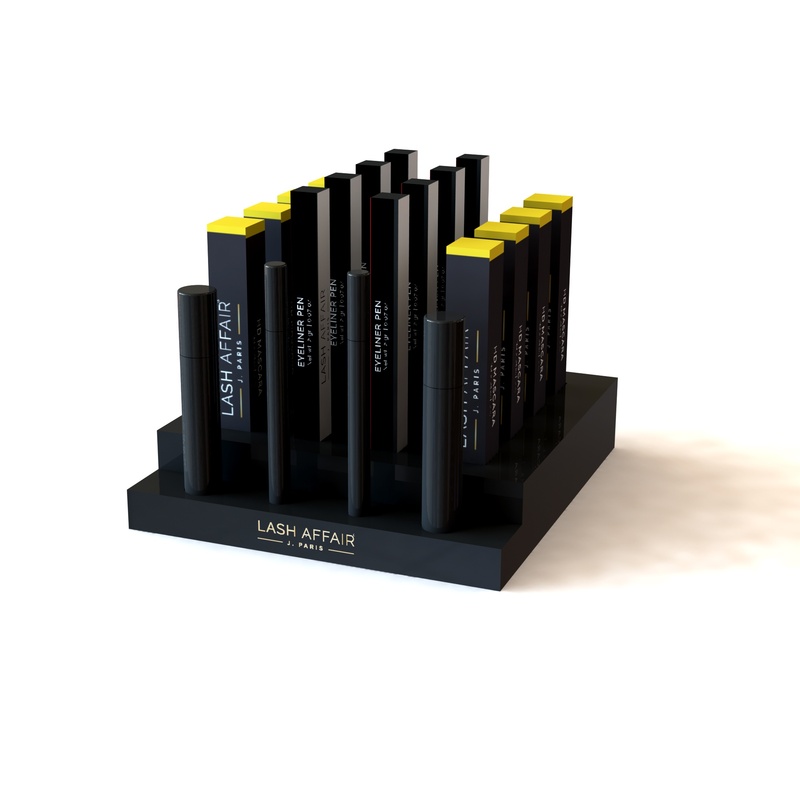 This one is a very simple display we made for Lash Affair. 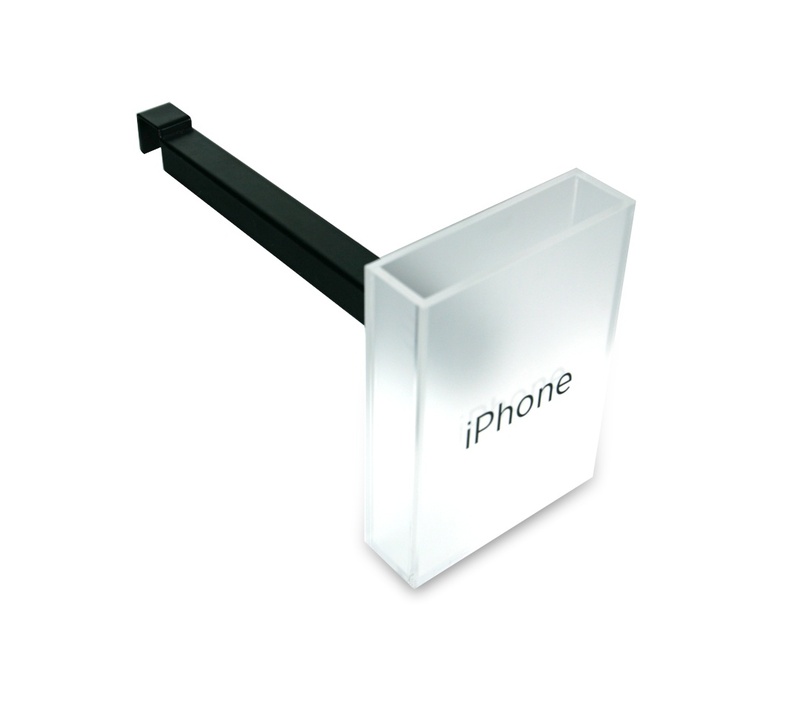 We built a basic low-profile black acrylic box to hold stand-up product. We added gold silk-screened graphics on the front of the box and also built an internal sub-structure within the box to ensure that the standing product would stay upright.